This will be at the top of your list. The power of Christ compels you to watch Hostage to the Devil, a documentary about Father Malachi Martin; a priest from Kerry who dedicated his life to battling evil. As we mentioned before, the new Irish feature is from Belfast based Causeway Pictures and it will air on Netflix this Sunday. Plot's it all about? : A child possessed. An exorcist locked in combat with an ancient evil. This feature length doc tells the true story of Kerryman Father Malachi Martin and asks, in the battle for saving a soul, just who really is ‘Hostage to the Devil’. Abbadon. Lucifer. Beelzebub. Satan. Old Nick. Antichrist. Mammon. Old Scratch. Evil One. The Devil. He is known by many names across the world and across the centuries. You may have your own name for him. You may imagine his form, his shape, his voice, his presence. You may have seen his portrait in artwork, in paintings, in film. You’ve doubtless heard stories of his power. You may have seen his shadow in dark news reports. You may tell yourself he is a cautionary tale, a childish fable; that you have nothing to fear. 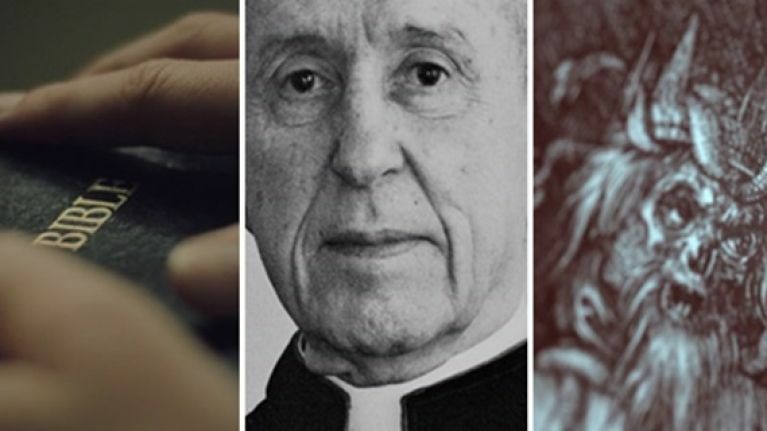 Using real footage from exorcisms, first-hand interviews, dramatic reconstruction, archival evidence and Martin’s own words, the film follows Father Martin’s incredible crusade from the 1970s through to his death in 1999. Broadcast date: Sunday, January 15th. Hostage to the Devil - Trailer 1 - (2016) from Causeway Pictures on Vimeo.